Don’t miss this chance to avail an Android gadget this year as Cherry Mobile is having there Great Northern Sale happening at SM North Edsa. Tell your family and friends about this sale and head to Cherry Mobile concept store located at 4F Cyberzone, SM City North Edsa Annex. Be there as this promo last from February 1 to 3, 2013. Read more below about the specs and price of Android phones and tablet on sale. 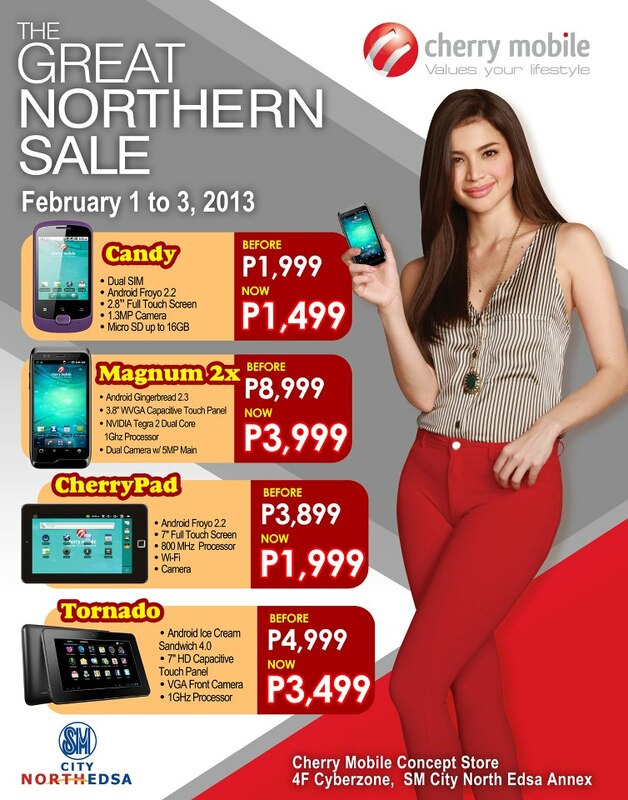 For more updates about Cherry Mobile sale and promos just visit their Facebook page. hmm .. lahat po ba ng SM Malls ganyan ang price ?